Dennis Prager’s thought-provoking columns are always interesting to read, and I agree with his arguments most of the time. A column this week is an exception to the rule. You can read it here, but to sum it up, he suggests that just as men as a group have more aggressive natures than women do, women as a group have a tendency to being malcontent. Dennis’ thought process started when he recently read Betty Friedan’s seminal book from 1963, The Feminine Mystique. In January, 2015, I too, decided that, as a book that helped launch the feminist movement, it was worth a read. Like Dennis, I too commented that having achieved more than Ms. Friedan imagined, women today should be rejoicing. Instead, we see many women who are bitter and discontented. I wrote an article asking, “Could it be that…women are just complainers regardless of what is happening?” Dennis and I answer that question differently. I do agree that, in the aggregate, women and men have different natures. Women are more emotionally driven than men are, a quality that, just like male aggressiveness, can help or harm society. If women adulate and even adopt men’s aggressiveness, as has sometimes happened in history, the world becomes a cruel and vicious place. If men adulate and adopt women’s emotionalism, as has happened in our culture since the 1960s, the world becomes an unhappier and less productive place. On issue after issue, men have failed to be men, falling prey to emotional and illogical arguments ranging from, “a woman’s body is her own,” when there is clearly another human being sharing that body, to the culture-destroying, “intentions matter more than results.” Most of all, both men and women emotionally embraced the attitude of victimhood, seeing happiness and fulfillment as an obligation that society must deliver. Men and women have chosen and been taught not to take responsibility for their own lives, but to depend on the government and others. People respond to a false sense of victimhood in different ways. Real injustice can be fought; fake injustice cannot. Men are more likely to respond to this frustration by taking drugs, committing suicide, getting into fights or taking stupid physical risks. In the past decades women increasingly respond by becoming both unhappy and political activists. As we chase God out of our lives, we are supremely less well-equipped to elevate gratitude and appreciation over bitterness and sullenness. As I wrote in my Musing on this topic, “Those of us who wish to be happy need to inoculate ourselves against that virus, surrounding ourselves with women looking for realistic joy rather than victimhood.” That is true for men as well. Sorry Dennis, but sinking into misery rather than counting our blessings is a human failing, not a feminine one. P.S. I received a lot of positive comments on last week’s Musing about vaccinations. I also received private messages appalled that I would write this during a measles outbreak. I wish those who wrote privately telling me how irresponsible I was would have posted publicly as well. I was not specifically talking about the measles vaccine, though my timing may not have been the best, and as I said, I see both sides of this issue. Lack of trust is rampant in many areas of our lives now, and that includes lack of trust in the medical community. In another field, Boeing’s only chance of reviving consumer confidence in the 737 MAX and the company in general means that they have to accept responsibility for their wrongs and explain what will change. Similarly, I think the onus is on the officials of the American Medical Association, politicians and other in leadership to acknowledge when they have given priority to concerns other than the safety of patients and explain what will change going forward. Certainly, a measles outbreak will encourage some parents who were hesitating to vaccinate to do so, but as long as underlying worries are not aired and respectfully dealt with, I don’t see a change in the basic lack of confidence in the medical establishment that exists among many loving and intelligent parents. 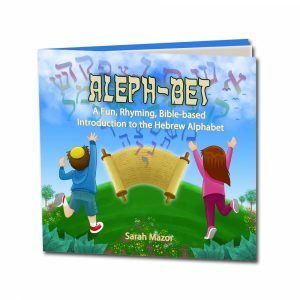 Can understanding the Hebrew word for happiness help you achieve it? How about wealth, family and laughter? On the vaccination issue, I agree. The ones in charge have to own up to being human and admit they are just in a Practice not an absolute. I also do not appreciate those who cannot put their name down publicly when they want to voice an opinion. It’s a cowardly way out. I’ve been put down for my posting but I just smile and consider the source. Have a wonderful spring Feast season. 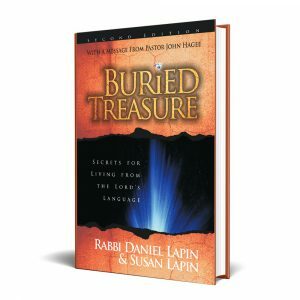 You and Rabbi Lapin have been inspirational to me and my family for quite a while now. My husband and I have known Dennis for many years and I’m pretty sure we won’t come to blows about this disagreement :). I am thick in Passover preparations now, so thank you for your good wishes. I love your line about “letting God be God,” Marilee. It is so much easier when we stop fighting the world as He created it. Thank you! I could not believe what I was reading in Dennis’s column. Being the intelligent, compassionate, wise man that he is, I look forward to his rethinking his premise on this issue. I’m sure he’s already on to his next column, Shira. But maybe someone on his radio show argued the point. How do men deal with grouchy women? That’s simple! We avoid them like a live hand grenade! This is true in business and home life. I just say to myself a feel for the poor sap that is married to that. My sister is a AAA #%& and now approaching 70 she is divorced and living alone. Se how well it worked for her. She has no friends and family has nothing to do with her. Humans do have a choice of who to include in their lives and a mean spirited woman is simply not on the list. John, I don’t think people want to be around mean-spirited, grouchy men either. There are plenty of both. Frankly, you sound a wee bit testy yourself! I think the Feminist movement ruins families. Women who choose to be homemakers and stay at home mothers are rare today. Now women must maintain a job and household, trying to juggle both successfully is rate too. The “I don’t need a man” attitude is the norm. It seems like all the bra burning feminist’s did just made them angry. Melma, in theory one can say, “Let everyone choose to do what they wish,” but in actuality government incentives and legislation push people one way or another. Not to mention, media and education. So, yes, many women would want to stay home and run their homes and families but are forced into the work force. Sorry, Susan. Dennis is more right than you in this case. I hope you left him a comment telling him that you agree with him. I actually should go look at what comments were left on Town Hall. On the topic of the public’s trust, I distinctly remember seeing an interview August 1998 of a scientist that did a study on the benefits of breastfeeding babies. The result of the study was a recommendation that babies be breastfed for the first 12 months of their lives to take advantage of the benefits of breastfeeding. The interviewer then asked the scientist, “Should you make that recommendation, because mothers that are not able, or do not want, to breastfeed their babies for that period might feel badly.” I was appalled and still am. The interviewer was advocating suppressing information beneficial for health to everyone in order to shield some from hurt feelings – deny the public generally of information that would improve the health of the next generation so some people don’t get their feelings hurt. That seems very very wrong to me. This incident has made me wonder whether other information was being suppressed that might be beneficial, but we can’t use what we don’t know. I know of a few more cases, John. In one, ads were taken on NYC transit telling women how fertility drops rapidly after a certain age and they were removed, not because they were incorrect but because influential groups were concerned that women might upset and move to prioritize family over career at an earlier age. Another outstanding column, Susan. Mazel tov! Aw, shucks, Kristin. Thank you. I always appreciate your insight. I think we do live in a society today where many are taught to believe that they are victims. Mr Prager mentioned in his column that 3 – 5 million women participated in the Women’s March. I did a little research and determined that in November 2018 there were approximately 136 million females in the US over the age of 15, so the 3 – 5 million that participated in the march represents 2 – 4% of the female population. Based on the coverage that we see in the news media today, events like these are sensationalized to emphasize the plight of those who see themselves as victims. What about the other 96% – 98%? I believe that many others who are conservative like me would never protest in this way. We recognize that we live in a great country and appreciate the opportunities that have been made available to us and continue to pray and give thanks for the freedoms that we enjoy today so that we can live out our lives as we feel led – whether that is as a stay at home mom or a career woman. Pattie, just as a hunch, I think women are split about 50/50, with only a part of the 50% that would call themselves liberal being the angry, vituperative, vocal group that gets on TV and into the news. But that is why it is so important for those of us who disagree with the shouting to speak up.